The YMCA on the Fylde Coast is very unique. 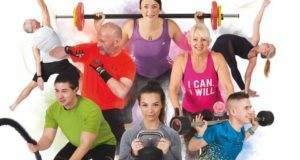 We work in partnership with Wyre and Fylde Councils, Lancashire County Council and the local NHS, to ensure all members of our community have access to superb facilities and programmes, so we can all enjoy and benefit from a healthy and active lifestyle. Join and connect with our 10,600 YMCA’ers and become part of the YMCA community. Support us in sustaining health and fitness facilities, programmes and more in your local community. Our cheapest prices in 20 years! When you join YMCA, your membership will give you access to all 9 health and fitness centres. With 9 health and fitness centres including 5 swimming pools, 8 full equipped gyms with state-of-the-art training technology, over 500 different classes and activities for adults, young people and children every single week, racquet sports, 6 sports halls, outdoor 3G pitches, boxing room and more… there’s definitely something in here for you. And now leading an active lifestyle has extra rewards with all year round member discounts at brand new Spa on the Breck, YMCA Bowl and Air Skate Park! Many of the images and success stories featured on this website are of ‘real life’ local people. Joining YMCA really can make a difference and improve your life. Read Real Life Stories like Jean Muir’s (pictured below) to discover how we have helped others on the Fylde Coast. Not only will a membership with us give you more ways to be active and to enjoy leading a healthy lifestyle so you feel a positive difference in yourself – a YMCA membership makes a positive difference to others. As a charitable organisation, all of the money we receive through our memberships is reinvested back into the local community, assisting us in developing and sustaining places for health, sports, leisure and physical activity for our futures. Our mission has always been to create places and programmes where we can deliver outstanding, innovative and socially connected experiences, enabling everyone to belong, contribute and thrive.